How Marty Scorsese risked it all and lived to risk again in Hollywood. At 69, an age when most Hollywood directors have been packed off after a hollow cavalcade of plaudits, roasts, and nostalgic fetes, Martin Scorsese is once again panicked about hitting a deadline. His new movie is Hugo, a 3-D children’s movie being released by Paramount Pictures this Thanksgiving weekend, and Scorsese has never before directed in 3-D, nor, God knows, made anything resembling a kid flick. But this is what life is like for Marty, as everyone calls him. The director has achieved the trifecta of a fulfilling, creative life: enough money to do only what truly interests him, enough freedom to attack those projects in a way that is satisfying, and enough appreciation from his peers to tame–just slightly, just ever so slightly–the neurotic beast of self-doubt. 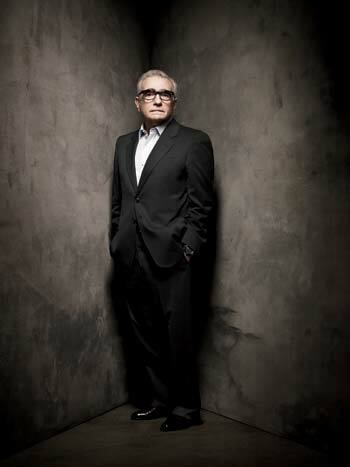 After 22 movies, five commercials, 13 documentaries, a handful of music videos, three children, five wives, and 25 studios; after insolvency and misery, after box-office failures and years of going unappreciated; after the one Oscar and all the others he should have won, Marty Scorsese has earned the right that every creative person dreams of: the right never to be bored. And what all this adds up to in his case, what this really means to this particular man, is that he has earned the right to continue to fret every little detail in the world well into the next decade and for as long as he cares to make movies. So as he sits down for the filmed part of a fastcompany.com interview in his office screening room, a comfortable unostentatious cave surrounded outside by posters of classic films like The Third Man, Citizen Kane, and Ladri di Biciclette (The Bicycle Thief), Hollywood’s eminence grise starts off by wanting to get something straight: “Let me ask you: Do I look like Quasimodo? Am I sitting too far down in the chair? The shoulders on this jacket, against these chairs, they can scrunch up so I look like Quasimodo. Okay, is this good?” Yes, Mr. Scorsese. And how are you feeling today? Scorsese, to pick a side in an endless argument, is America’s greatest living director. And yet he still can’t make up his damn mind, still gets obsessed, still gets crazed by the same kinds of things that make any creative type nuts. Is he going to get the resources he needs? Will his bosses like what he’s doing? Will they give him another chance on another project? How much of his creative vision will get into this project? How much will the powers that be screw with his vision? When does he say “no” to them? When does he say “yes”? Whom does he trust? And how in the world is he going to get away with doing the work he loves for his whole life? In an era when careers are measured in months rather than decades, Scorsese has reliably delivered for 45 years–but it still isn’t easy. “There’s always been pressure,” he says. “People say you should do it this way, someone else suggests that, yes, there’s financing, but maybe you should use this actor. And there are the threats, at the end–if you don’t do it this way, you’ll lose your box office; if you don’t do it that way, you’ll never get financed again. . . . 35, 40 years of this, you get beat up.” Hollywood has always been a battlefield, as rough as any more-traditional corporate setting. Any man who can get this stuff financed–never mind make great art from the material–has clearly learned a trick or two. Scorsese has sweated the details of his career as thoroughly as the details of his movies. As he explains here, in his own rat-a-tat style, the man knows a few things about constructing a life of meaningful work–things that apply to anyone in the business of trying to craft a creative life. Ferretti is one of Scorsese’s trusted advisers at this point, along with director of photography Bob Richardson, costume designer Sandy Powell, casting director Ellen Lewis, and, above all, editor Thelma Schoonmaker. As much as possible, he enjoys working with the same crew. He enjoys working with the same actors, as well. First came Robert De Niro, Harvey Keitel, and Joe Pesci; more recently it’s been Ben Kingsley and, of course, Leonardo DiCaprio; in Silence, he’ll turn once again to Daniel Day-Lewis. There was always a part of me that wanted to be an old-time director,” says Scorsese, laughing. “But I couldn’t do that. I’m not a pro. film director Elia Kazan. 2) Public Speaking, a doc he directed about writer Fran Lebowitz. 3) Boardwalk Empire, HBO’s epic gangster series set in Atlantic City. He directed the first episode and now executive-produces. 4) Living in the Material World, the George Harrison doc he directed. 5) Surviving Progress, a doc he produced, based on the book A Short History of Progress. 6) La Tercera Orilla, a 2012 film directed by Argentine director Celina Murga, who was paired with Scorsese in the Rolex Mentor and Protege Arts Initiative. He will executive-produce her movie. 7) A new Terence Winter project for HBO about a drug-fueled movie exec in 1970s New York; Scorsese will direct the first episode and executive-produce the series (with Mick Jagger). 8) The Film Foundation, which has restored more than 550 old movies and basically salvaged the silent-film era. Scorsese is the founder and chairman–and is personally involved in the restoration of 10 films this fall, including four silents directed by Alfred Hitchcock. “At this point,” says Scorsese, “I find that the excitement of a young student or filmmaker can get me excited again. I like showing them things and seeing how their minds open up, seeing the way their response then gets expressed in their own work.” Hugo itself is something of a lesson in film history for kids, with its plot centered around Melies, whose work, which Scorsese has helped restore, is featured in the movie in a run of strange and wild clips.